The Theatre Royal Plymouth Young Reps are right at the heart of what we do and how we do it, with monthly meetings to discuss our programme and get involved with improving events for young people. Find out more about what being a Young Rep is all about. Hello I’m Maxine. I am currently studying A levels. I’m an aspiring actress currently part of the Young Company and I also have an interest in play writing. I wanted to become a Young Rep as I wanted to develop my knowledge about the theatre and how it works, while encouraging more people to join and help them understand that there are many aspects to the theatre and what makes it successful. I’m Owen, this is my second year as a Young Rep and I am currently applying to study Management with Marketing at University. I was involved in the production of Immune in the Young Company in 2015, and am passionate about making a difference for young people at the Theatre. I wanted to become a Young Rep to build confidence in my knowledge at how a organisation runs (specifically marketing), but most importantly make sure that more people, my age, are inspired and entertained by the world of theatre. I, one day, hope to be working in a similar place to TRP, and hope to see younger people filling seats. I studied Performing Arts, and it was here I began to love and appreciate theatre, acting was something I had always enjoyed but learning everything behind it was truly captivating. There are numerous aspects of theatre which I thoroughly enjoy, being back stage or on it. I wanted to become a Young Rep because I want to gain more experience and share ideas I have about how to make theatre more relevant among the younger population of Plymouth. I am currently using this year to focus on my education adsorbed in A-Level revision. I’m Charlotte and I’m currently on a gap year. As well as applying to University to study Drama, I wanted to use my year out to gain experience in a theatre, and so decided to carry on as a Young Rep after being a part of the team last year. Having worked with companies such as National Youth Theatre and Youth Music Theatre UK, I wanted to replicate the success that these national organisations have with young people, and help bring it to a local level. Stemming with opportunities, from acting and playwriting, to design and marketing, Theatre Royal Plymouth has the potential to be a lively and thriving hub for young people. Our aim is to not only get more young people attending theatre, but also expose the fantastic projects, groups and opportunities that TRP and TR2 have to offer. I’m Gemma Draper and I am studying in the first year of sixth form. I take a variety of A-levels including English literature, Biology, Business and Psychology. I became interested in theatre at a young age and have been performing outside of school for most of my life. 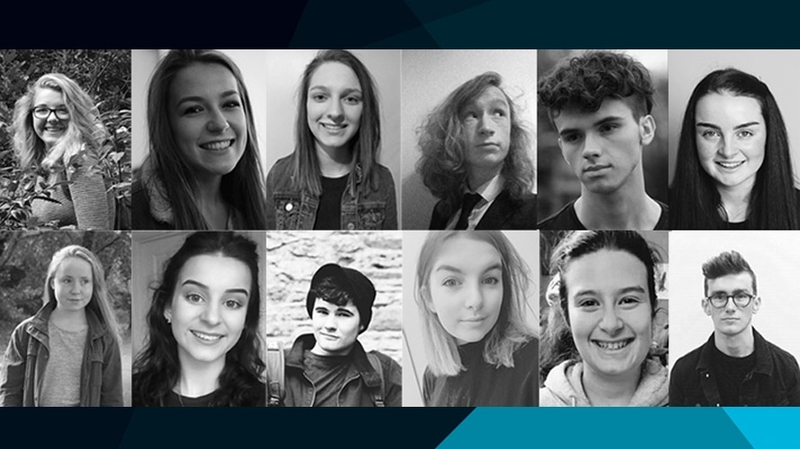 I recently became interested in the Young Rep programme at the Theatre Royal Plymouth to help other young people become aware and involved in theatre as well as work on team work for organisation and making a real difference in the community. My name is Emily and I am part of the Theatre Royal Young Reps! I wanted to be part of this group because it is a strong passion of mine to keep theatre alive and relevant in today’s world. I am working towards studying at a drama school and I have always loved the world of theatre, so this is a fantastic opportunity for me and my future. Being a Young Rep provides me with the chance to be a strong part of something that is so important to me, and best of all I have the opportunity to make friends with like minded people. I hope to encourage people of all ages, especially young people, to see the Theatre Royal Plymouth as a place of excitement and creativity. My name is Maddy, I’m studying for my GCSEs. I have been a part of the Young Company for 2 years now, and I’m currently rehearsing for my 4th show, Zero for the Young Dudes, which will be toured around to schools in March. I applied to become a Young Rep because I wanted to help theatre become more accessible for young people, whether that be with an open day or making it more appealing to come and use the space that’s available. I’m Frazer. I am currently studying for my A-levels with the aim of doing a Biomedical Science degree at university. I’m relatively new to the ‘theatre scene’, originally taking part in the #wearehere campaign, silently acting as a WWI solider, loving the whole experience. This made me want to get involved in and explore more into what there is which is offered to me. Young Reps has given me a changed perspective on Theatre Royal Plymouth as a whole, showing me background and letting me help out on events. It’s fun to give my input into processes, especially knowing that what I say or suggest could actually change something. Hi, I’m Sarah and I am a Young Rep for the Theatre Royal Plymouth. I am a former student from Hele’s School, currently on a gap year before heading off to University in September to study Forensic Science. Theatre was always a large part of my life at school and I loved how so many young people would get together at get involved to put a production on. That is why I became a Young Rep, I want to help encourage young people to watch theatre and perform it and feel inspired. I’m Maisie I’m 18 currently studying at Plymouth College of Art. I am really interested in theatre costume design and hope to go down that path in the future. At the moment I’m in education studying drama and art , I got into theatre from a young age and when the opportunity for this came up for the Young Reps I had to take it. My name is Abi, my passion is drama and musical theatre. I have been part of Plymkids Theatre Company for 9 years and have done many shows with them. I have also done some professional work outside of this with professional people. I am a grade 6 distinction musical theatre singer. I wanted to be a Young Rep because I love going to the theatre and I want to inspire others my age to do the same. I want to make it a place where young people will consider going and I want to help inspire them to get involved. I am super excited to be a part of the programme and I am looking forward to working with such great people!